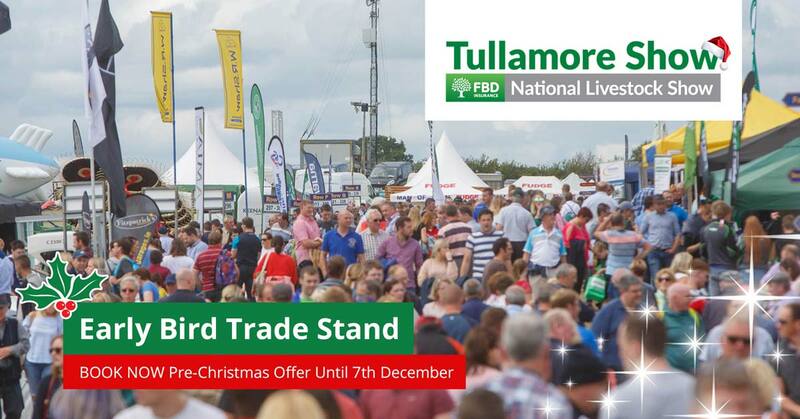 Tullamore Show Trade Stand applications are now open for businesses to register and pay online to reserve their trade exhibition space for the Tullamore Show & FBD National Livestock Show, one of the largest one-day shows of its kind in Ireland. Over 700 Trade Stands will exhibit, demonstrate and sell their products and services to the 60,000 visitors that are expected to attend the Tullamore Show. The trade stand exhibitor areas provides an excellent platform to introduce new products and promote existing ones, develop brand awareness, engage with a large audience and sell products. There is also an opportunity for businesses to advertise on site at the show.